Modular Design – Limitless possibilities. Strong ties with major AV distributors and installers as well as industry leaders enable us to develop head-end system specific digital signage solutions to the market needs of your business. The Hagor strive to always create simple and intuitive wall mounting solutions for digital signage display setups as well as in-room installations. Our aim is to consistently find ways to improve on our digital signage product offering. Maybe it’s time for your business to discover a new level of refinement with our Pro Series signage solutions. The Hagor mounting solution and systems are given below. Hagor Ceiling mounts was designed to deliver a simple solution for any digital signage installations involving multiple commercial displays 32”-65”. Perfect for many commercial installations the space saving design ensures the very best installer experience. Based upon traditional 50mm columns it could not be simpler to create any bespoke modular based arrangement. Simply choose a single or multiple screen design on one or more poles using tilt or fixed or back to back bracket solutions. Universal VESA brackets handles screens in both landscape or portrait position. Our poles are available in black, chrome or brass finish matching its environment. Menu Boards has quickly become a simple way to interact with the consumer. State-of-the-art MB Pro Series menu boards simplifies the installation process of a menu board in prominent location. A complete range of models and exchangeable Hagor bracket solutions makes it easy to find a suitable solution plus bring speed to the installation. Our Hagor mounts Floor to Ceiling system designed to deliver a simple solution for any digital signage installations involving multiple commercial displays 32”-65”. Perfect for many commercial installations our space saving design ensures the very best installer experience. Based upon traditional 50mm columns it could not be simpler to create any bespoke modular based arrangement. Simply choose a single or multiple screen design on one or more poles using tilt or fixed or back to back bracket solutions. Universal VESA brackets handles screens in both landscape or portrait position. Our poles are available in black, chrome or brass finish matching its environment. Acepaq dubai hagor dealer in dubai, uae Cuttable or extendable makes it an easy task to match the height of ceiling. Different fixing kits and design covers makes the final looking both Scandinavian cleaned designed and quality reassuring. For screens in a row the Pro Series Now you can offer a simple way to get perfect display positioning and a choice of bracket and adjustment solutions that works after a set standard. Ensuring the very best installer experience a single aluminium extrusion rail is used with either fixed, tilt or push in pop out brackets that aligns the screens quick and efficiently. A unique cable management is simplifying cable hide on the extrusion’s backside. If a videowall solution is wanted the Push in Pop out bracket also allows the installer to get easy access behind the displays for servicing matters. Hagor Wall mount Pros Series is a simple and ingenious system for commercial installations involving multiple commercial displays from 32” to 65”. All Hagor protective enclosures of our Screen Out Pro series are standardly equipped with an active ventilation provided by integrated blowers and IP air filter mats to guarantee a perfect air circulation. The front has a pneumatic spring, making it easy to service the enclosure as it can be opened by one single person. Moreover, the front can be locked up with separate safety locks. There is enough usable space inside for an additional set-top box or a mini PC. When it comes to escape and emergency routes, the demands to technology are particularly high. Regulations and guidelines do often not allow to use standard enclosures here. Therefore, HAGOR produces customized fire protective enclosures, which meet the requirements of your individual case of application. They are available in standard sizes 32, 40, 46 and 55 inches. Fire protection enclosures are subdivided into two categories. People’s everyday life is more and more accompanied, influenced and facilitated by digital media. The market is constantly growing, and the implementation of Digital Signage solutions gains more and more importance for enterprises, markets and stores and is therefore virtually inevitable for them. Guidance, navigation and orientation systems, product presentations, ways of reception – the application options of totems are unlimited. Indoor enclosures are often an easy way to protect screens and displays from unauthorized access. This is where designers and decision-makers meet new challenges repeatedly depending on the case of application. 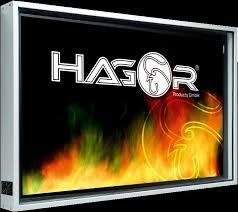 HAGOR now offers perfect fit solutions for screens up to 65 inches which are most of the time universal solutions. Our indoor enclosures come open (without safety glass) as a standard to remain deployable for touch applications – as guidance, navigation and orientation system for visitors, for instance – but to still stop people from touching any cables. This system is based on individual frame constructions, which can be installed next to or on top of each other as often as you want and, depending on the requirements, either in portrait or landscape format. Thanks to spring bolts with integrated twist-lock, there are no tools required for the installation. As this system allows to position several modules next to each other, the video wall can be infinitely extended in horizontal direction and a maximum of 7 screens can be installed in vertical direction. Please contact us for Hagor products in Dubai, UAE, Abu Dhabi, Qatar, Oman, Kuwait, Bahrain, Saudi Arabia and Africa. 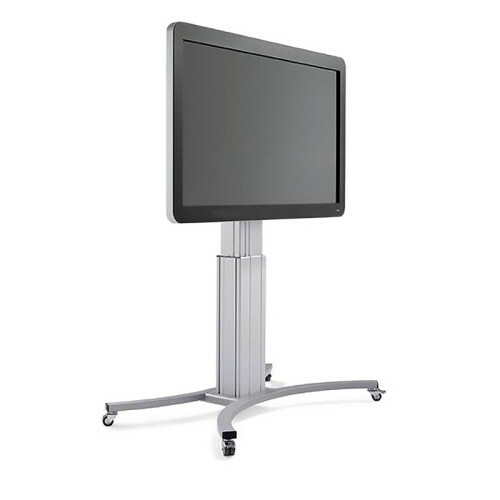 Our other products and solutions are Nec Display, Digibird Video controller and Clevertouch interactive display. For more information visit http://hagor.net.